CAMP SPRINGS, Maryland, May 25, 2011 (ENS) – This week, May 22 through 28, is national Hurricane Preparedness Week and NOAA’s Climate Prediction Center, a division of the National Weather Service, is forecasting an above-normal hurricane season this year for the Atlantic basin. Across the entire Atlantic Basin for the six-month season, which begins June 1, NOAA is predicting three to six major hurricanes of Category 3, 4 or 5 with winds of 111 miles per hour or higher. There is a 70 percent likelihood that this prediction will came to pass, NOAA said in its seasonal prediction for the coming hurricane season. NOAA forecasters indicate that activity this season will exceed the seasonal average of 11 named storms, six hurricanes and two major hurricanes. “In addition to multiple climate factors, seasonal climate models also indicate an above-normal season is likely, and even suggest we could see activity comparable to some of the active seasons since 1995,” said Gerry Bell, PhD, lead seasonal hurricane forecaster at the Climate Prediction Center. The continuing high activity era. Since 1995, the tropical multi-decadal signal has brought ocean and atmospheric conditions conducive for development in sync, leading to more active Atlantic hurricane seasons. Warm Atlantic Ocean water. Sea surface temperatures where storms often develop and move across the Atlantic are up to two degrees Fahrenheit warmer-than-average. La Niña, the cold water pattern in the equatorial Pacific Ocean, continues to weaken and is expected to dissipate later this month or in June, but its impacts such as reduced wind shear are expected to continue into the hurricane season. 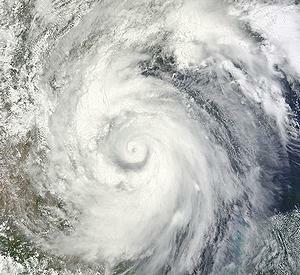 NOAA’s seasonal hurricane outlook does not predict where or when any of the storms may hit. Landfall is dictated by weather patterns in place at the time the storm approaches, so emergency officials emphasize that preparedness can save lives. To help prepare residents of hurricane-prone areas, NOAA is unveiling a new set of video and audio public service announcements featuring NOAA hurricane experts and FEMA Administrator Craig Fugate that are available in both English and Spanish. Find them at http://www.hurricanes.gov/prepare. “The tornadoes that devastated the South and the large amount of flooding we’ve seen this spring should serve as a reminder that disasters can happen anytime and anywhere. As we move into this hurricane season it’s important to remember that FEMA is just part of an emergency management team that includes the entire federal family, state, local and tribal governments, the private sector and most importantly the public,” said Fugate. “Now is the time, if you haven’t already, to get your plan together for what you and your family would do if disaster strikes. Visit www.ready.gov to learn more. And if you’re a small business owner, visit www.ready.gov/business to ensure that your business is prepared for a disaster,” urged Fugate. For each storm, NOAA’s National Hurricane Center forecasts how weather patterns affect the storm track, intensity and landfall potential. NOAA’s Atlantic hurricane forecast for the 2011 season is in accord with a closely watched prediction issued each season by Philip Klotzbach and William Gray of the Colorado State University Department of Atmospheric Science. In April, Klotzbach and Gray predicted that the 2011 Atlantic hurricane season will be “very active” with five major hurricanes of Category 3 or stronger.